I love working with these luscious colors of the autumn forest. Though similar, each piece is unique. 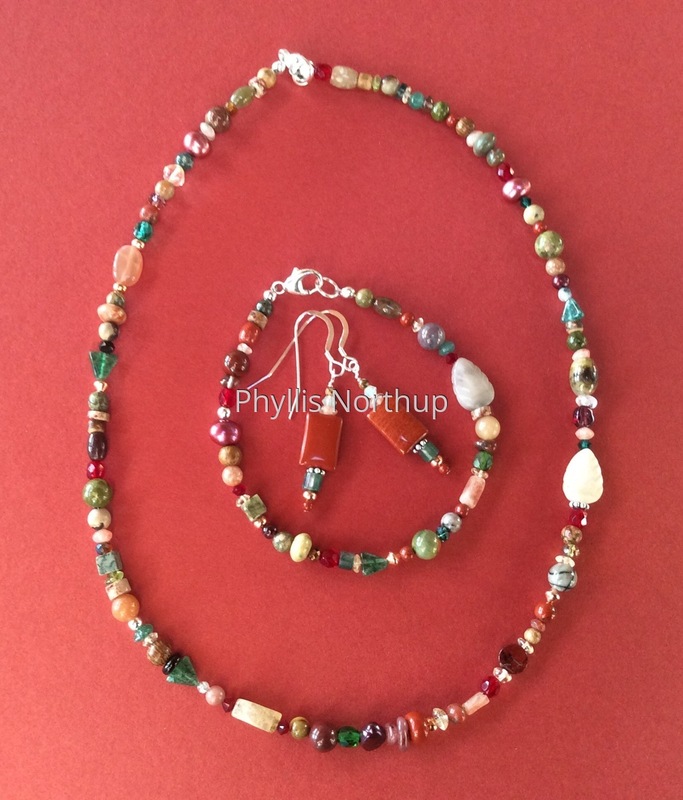 I use a multitude of gemstones, accented with sterling silver, copper, wood, Swarovski crystals, Czech glass and freshwater pearls. Price includes shipping.